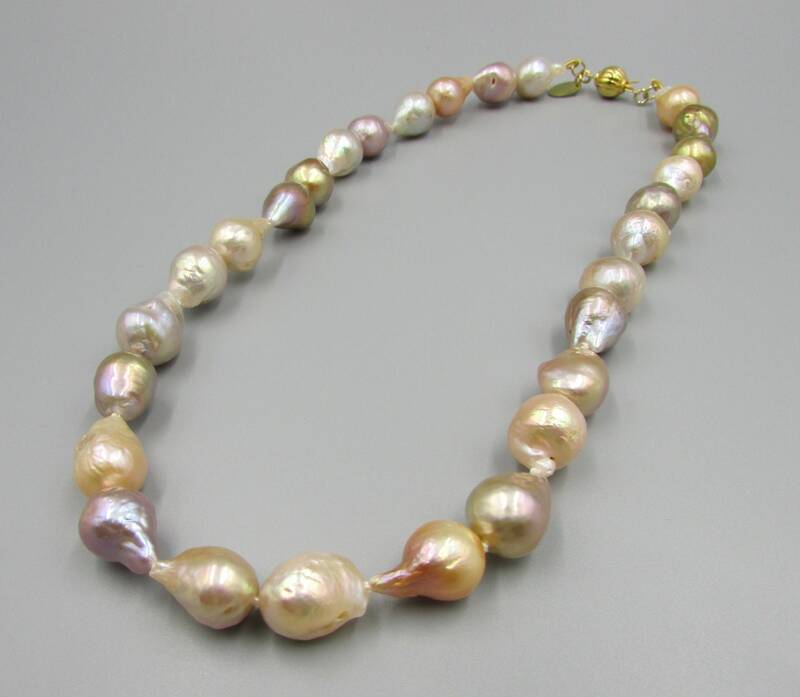 This stunning baroque pearl necklace is made high quality nucleated freshwater pearls and is hand knotted on double silk thread for durability and beauty. 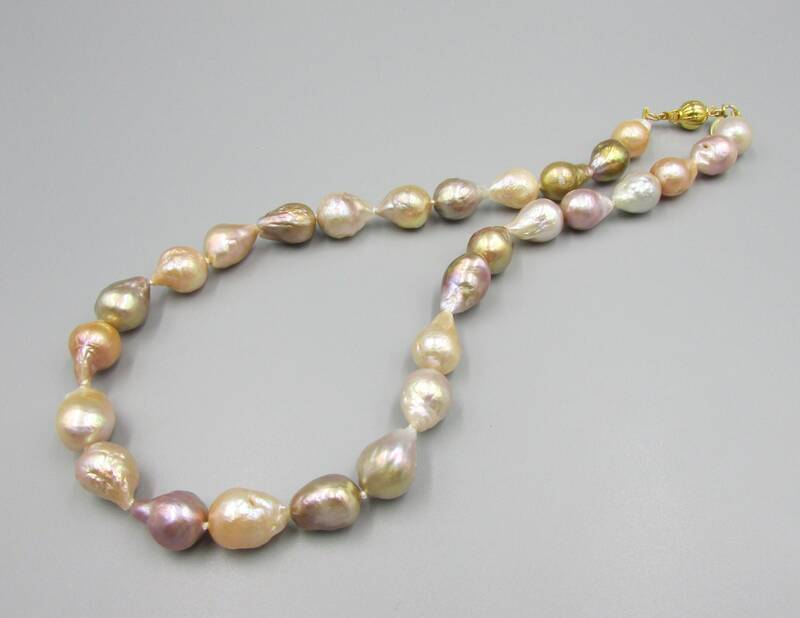 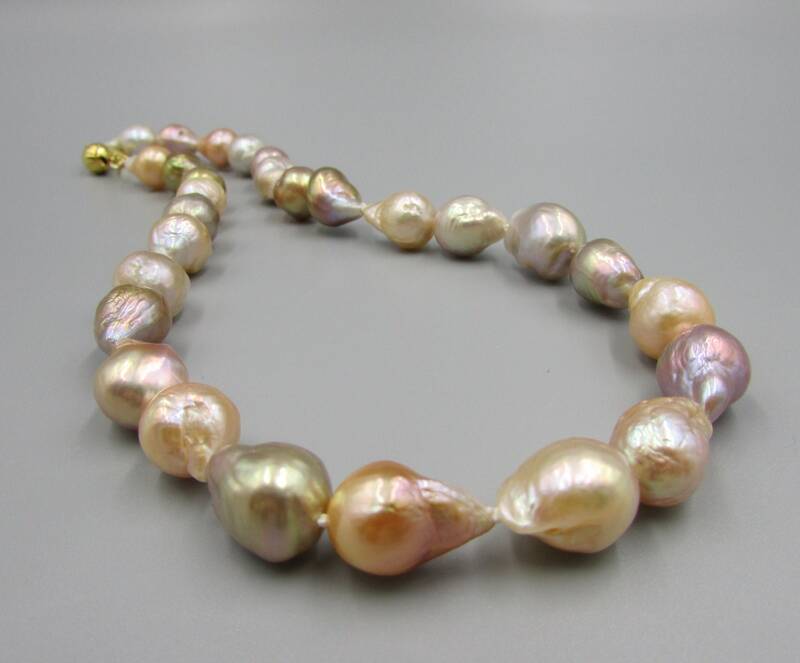 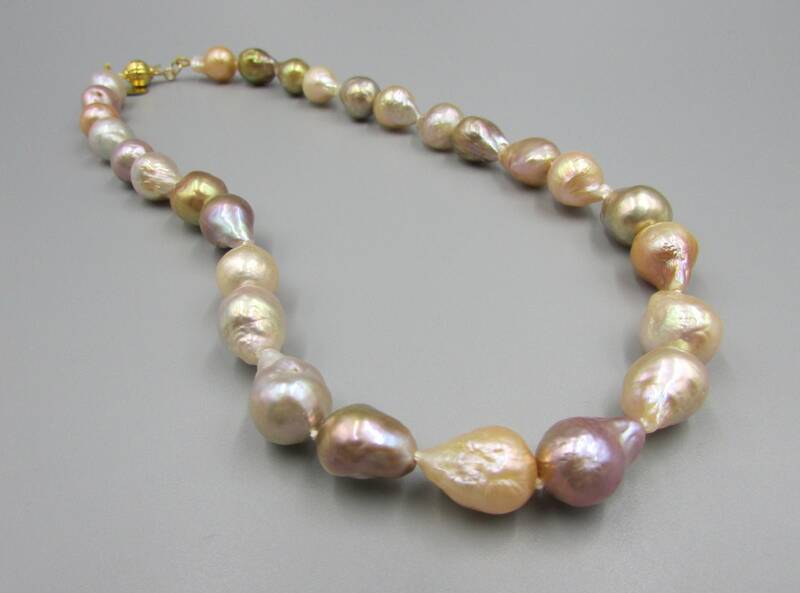 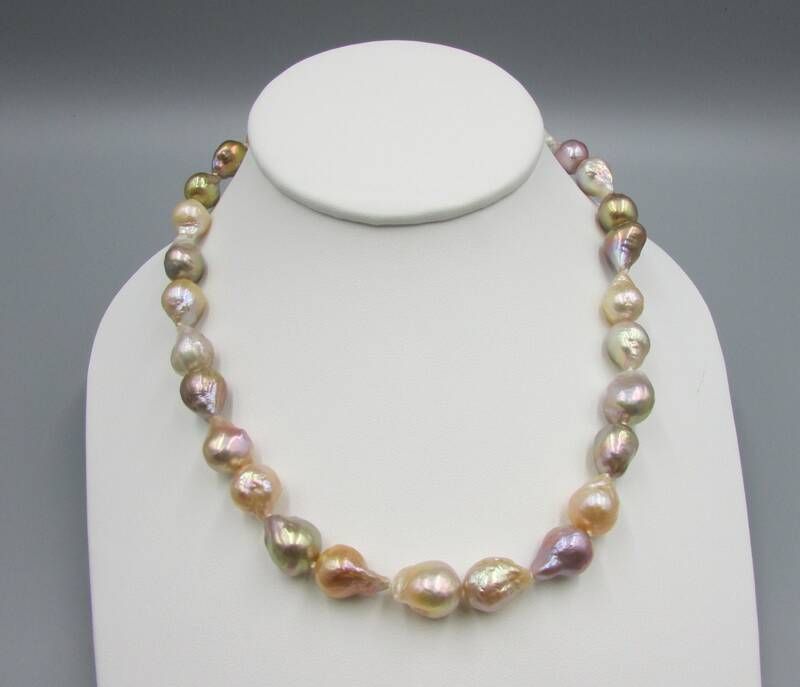 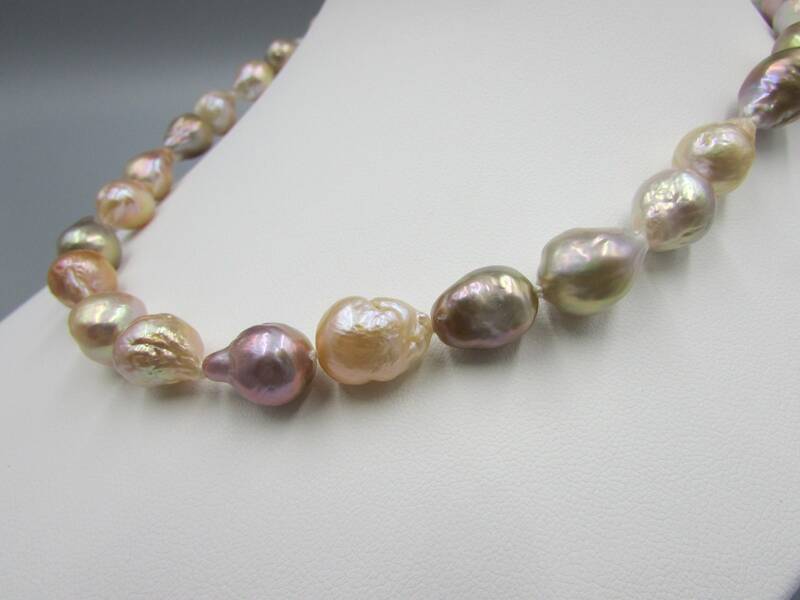 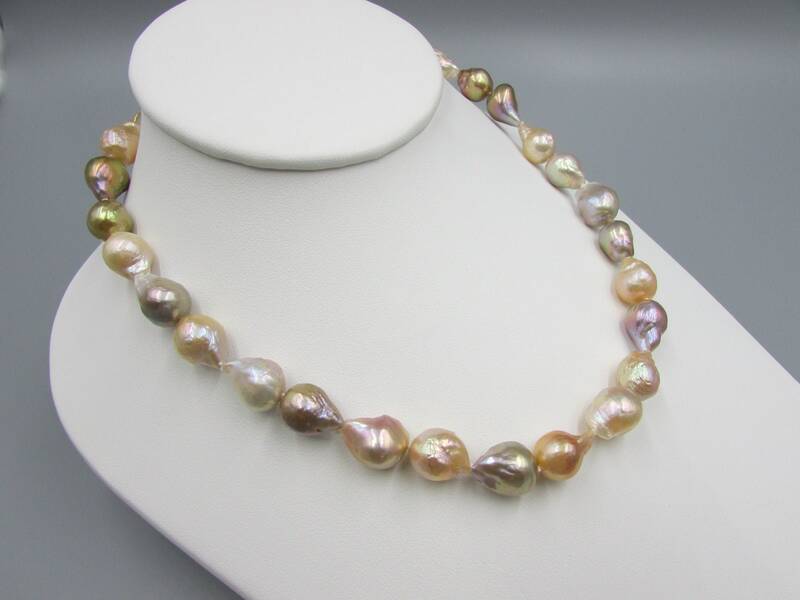 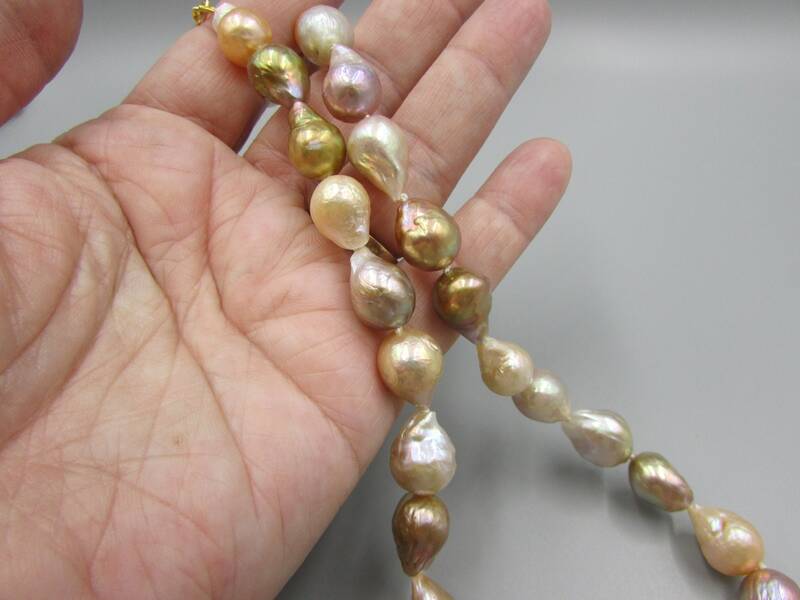 The pearls are multi colored hues of pink, white, golden, bronze and mauve with excellent luster and shine. 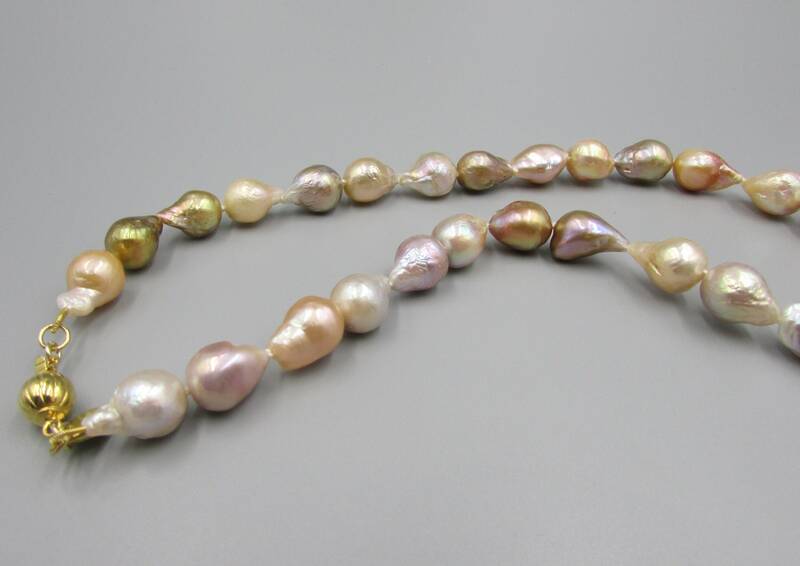 The surface is smooth with some ripples. 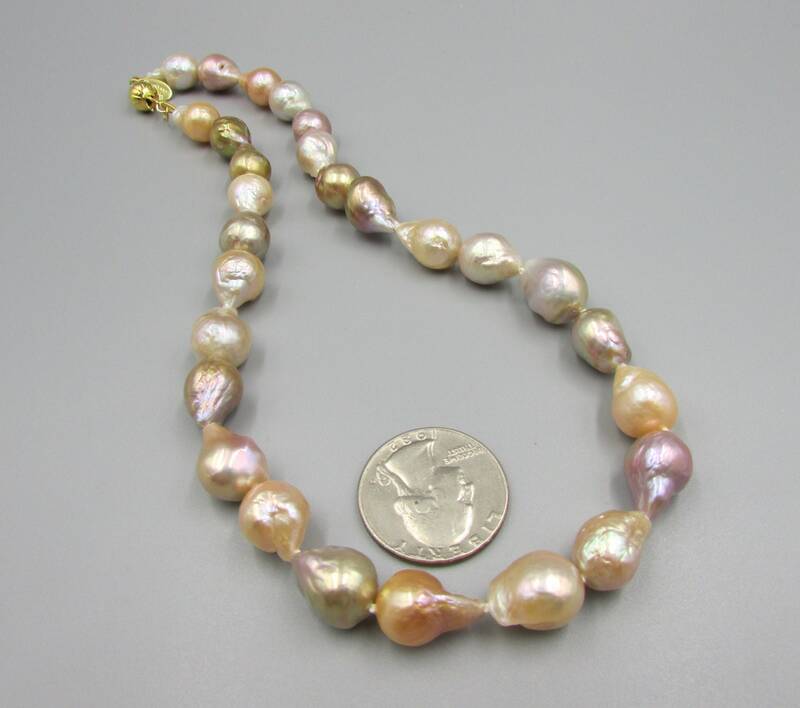 Necklace length is 16 inches longs and finished with a gold ball clasp.